Bring a Friend and WIN! Join us for this MASSIVE 12-Hour Martial Arts Train-a-Thon! 12-Hour Training Days have become a tradition at A.I.M. Academy! 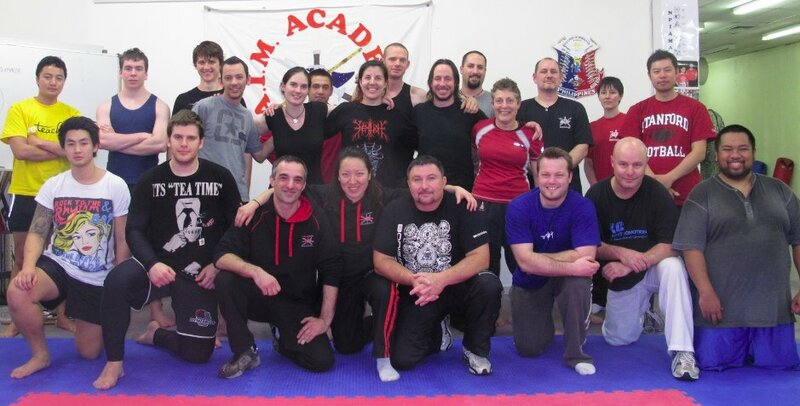 It’s a fantastic opportunity to spend a day immersed in martial arts training with other like-minded people. Martial arts instructors from various backgrounds often join our training days to take time out for themselves, invest in their own training, and meet & network with other instructors. It’s a fun day out for everyone! Lots of laughs, and lots of learning! This 12-Hour Martial Arts Train-a-Thon is suitable for men & women aged 15 yrs and above, and of any fitness level. No previous experience necessary. All welcome! Save $30 off the Standard Ticket by purchasing your Early Bird Ticket by Sun 21 April 2013. Places are limited, so don’t miss out! Purchase your tickets to save a place for you & your friends today! Start Martial Arts & Self-Defence Training Today!